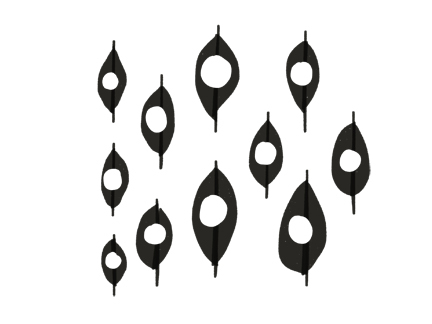 I have a new stencil collection! I am in love with the small sizes of these new botanical themed stencils and masks. They will be perfect for all of my Pocket Journal pages as well as other projects. From tags to art journal pages to my favorite stitching projects, these are going to take all of floral images to the next level! Hop on over to Stencil Girl Products now to see this and other collections of mine today. So what are you are waiting for? Sign up here! Throughout January participants get access to 31 downloadable videos from 31 featured artists. I'm proud to be one of those artists, called “JumpStarters.” See for yourself. ALL OF MY STENCILS ARE ON SALE! 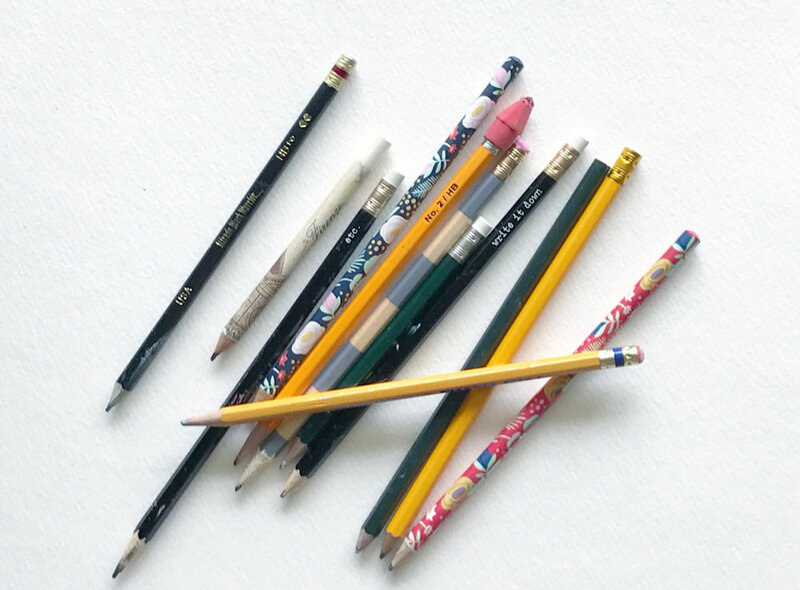 I am excited to be sharing my top ten tools over at artistsnetwork.com today. I rarely replace my supplies for new ones, but instead cycle through my favorites, adding to them one paint color, one pencil, one creamy pastel at a time. In avoiding the temptation of always having what is new on the art store shelves I find myself staying true to my style, creating with the tools and colors that are unique to my work. I have always been a firm believer that you have to observe and experiment with a wide assortment of supplies before you can really speak to what your favorites might be. To read the full article tap the button below. 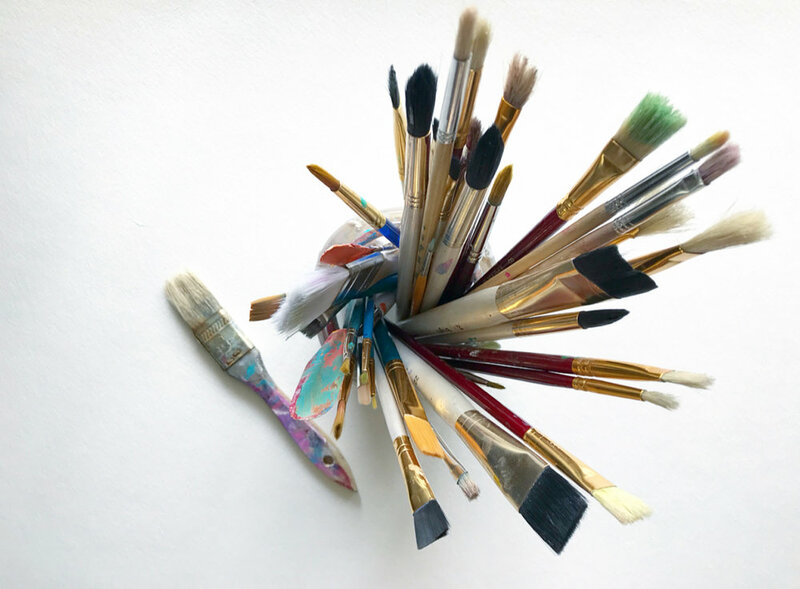 You’ll find more of my favorite go-to tools in my new book, Paint, Play, Explore, which is a must-have for your creative library. “Rae Missigman is our Artist of the Month for September, and we’re so happy to spotlight this artist and her unique art techniques. Rae brings so much vibrancy and excitement to mixed-media art, and her work has inspired countless artists—and me! Last chance to get in on this creative workshop full of bite sized lesson that are perfect for all of your autumn inspiration! As artists, we tend to stick to what we know. We gravitate to what feels natural, and we take comfort in the familiar. But what about the practice of trying new things? What about the exploration and the experimentation? What about the growing and stretching that gets us thinking creatively? 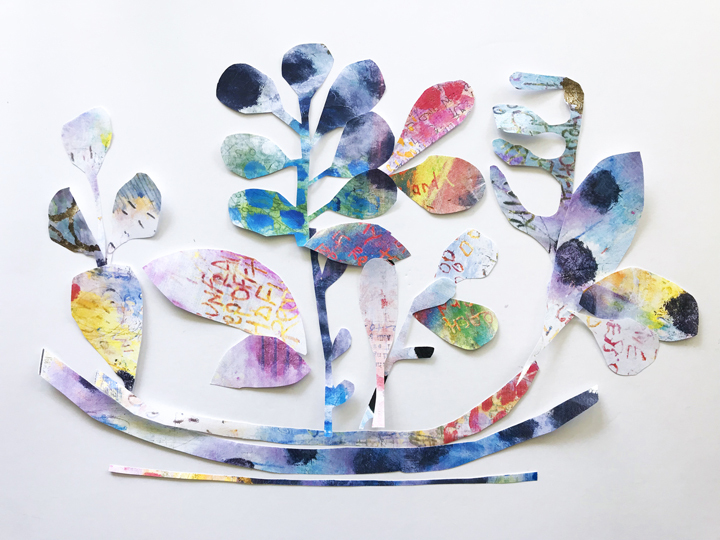 I love creating my own collage paper and always reach for my stencils when I begin to create a new stack. 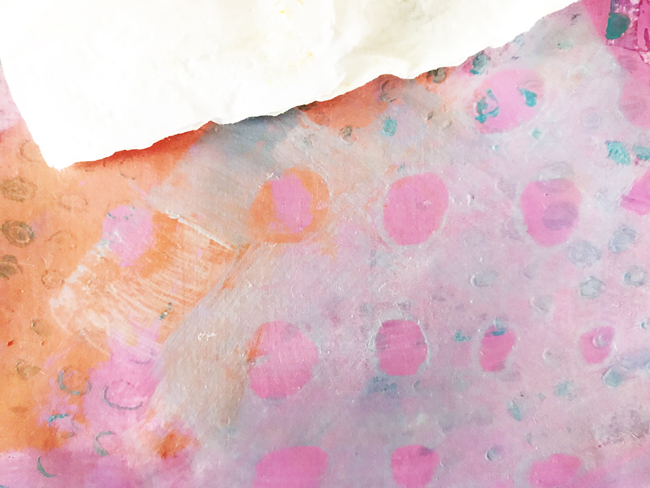 Often times I will use my Gelli Plate® to layer paint and stencils to make busy colorful papers, but there I am times when I need paper fast! 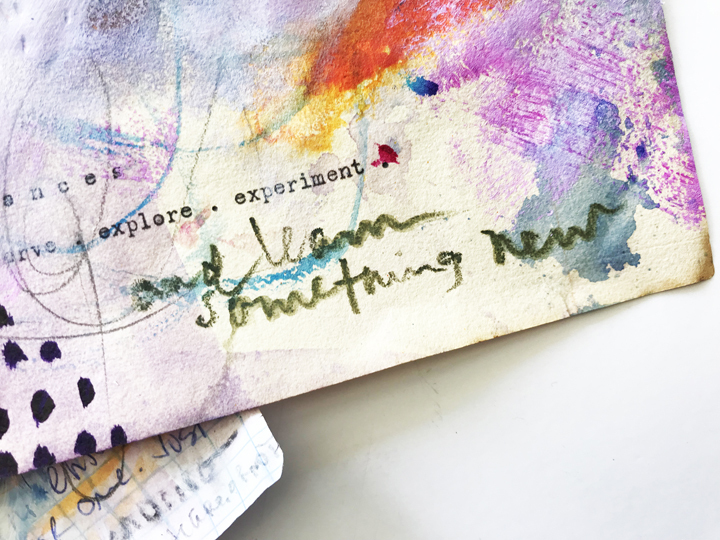 Today I am sharing a super easy trick for creating papers that are just as colorful and busy as those I create using my Gelli Plate® but can be created in just minutes with nothing more than paint and stencils, and a handful of household items. The bonus to this method is the papers have a lovely distressed finish on them making them one of my favorite collage papers ever! ArtMarks are my creative passion. Colorful repetitions that have become my favorite styling element. On my art table is the class you have requested, ArtMarks101. In this workshop I will be teaching my comprehensive formula for creating dynamic art pieces designed for beginners and intermediate artists. We will delve deeply into the melodic, fanciful world of repetition, color and composition. Stay tuned for more details. Coming this fall. After many requests, Rae & Sandi have created a mini workshop to teach you how to create your own tiny journals. 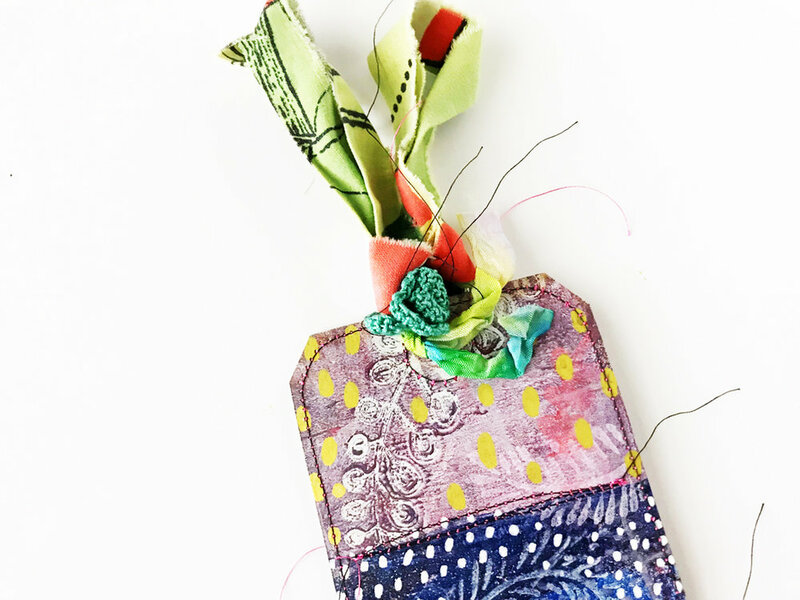 I'm excited to announce that I will be participating as an artist/instructor for Marieke Blokland's 2018 Art Journal Summer School. "Do you have lots of ideas for journaling, but when you start you feel blocked? 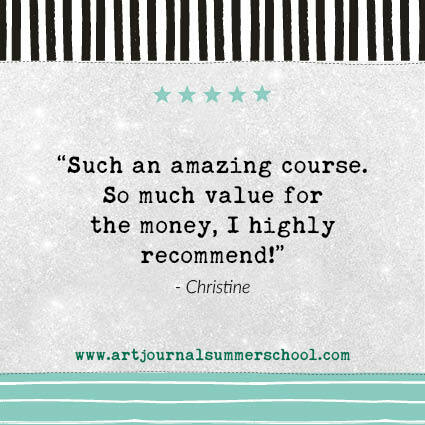 Art Journal Summer School is the course for you!" This is the 4th summer of AJSS and every year a beautiful community blossoms around the course. 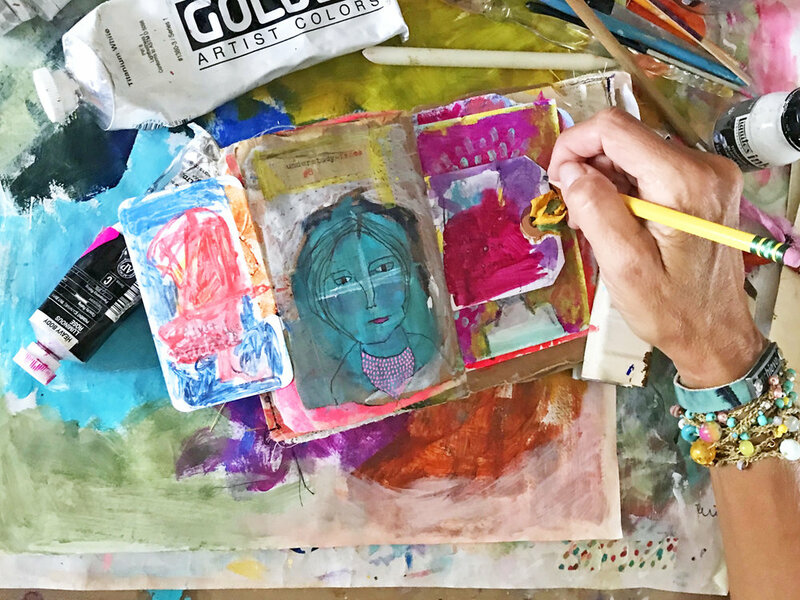 People from all over the world connect over their shared love of art journaling. Perhaps you will do the course along with your best friend or as a way of spending quality creative time with your kids." 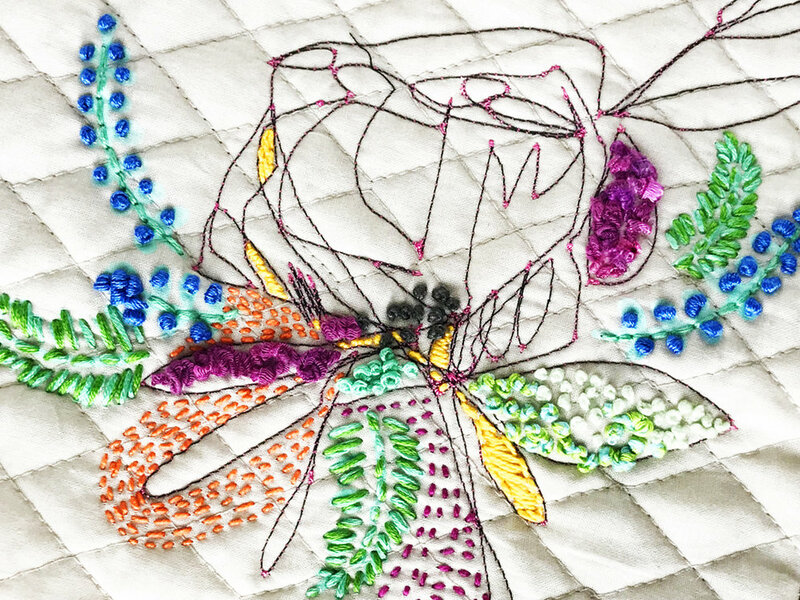 "Bloknote Academy is thrilled to announce this year’s lineup of awesome guest teachers at Art Journal Summer School 2018, along with your BloknoteAcademy teacher Marieke Blokland (Netherlands)." 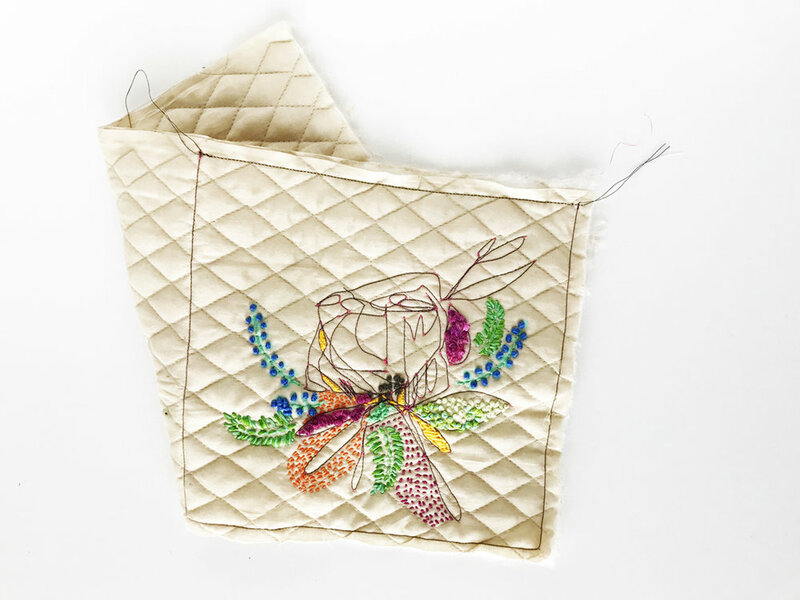 In this colorful and easy to create project based workshop, learn to handcraft an inked and stitched floral petaled mini tote. 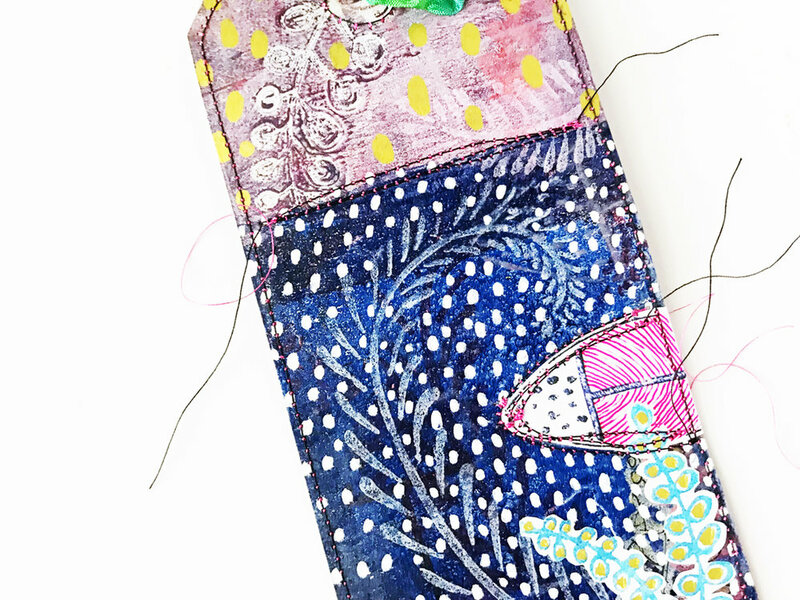 Ink, stitch, print and mark your way through this fun assemblage and learn to create using my saturated colors and signature Art Marks. This pretty multi-use mini tote will be one that you create again and again. 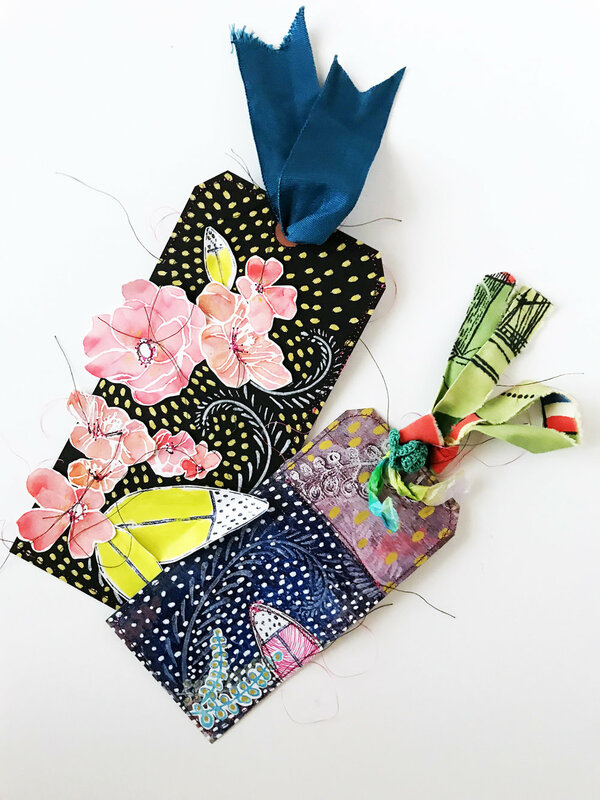 A perfect pouch for all of your favorite art and craft tools, a unique gift bag or an inspiring wall or door hanging-it is soon to become your go to pattern. Discover how to add bold color to your fabric in one simple step, learn how I incorporate my four favorite messy art mark stitches to create an added element of texture to all things sewn, uncover how I create colorful fringe while keeping my table clean, and experiment with my five minute technique for dying multi-colored ribbon– a must have studio staple. This handmade project highlights my most popular techniques packing a not to be missed punch. 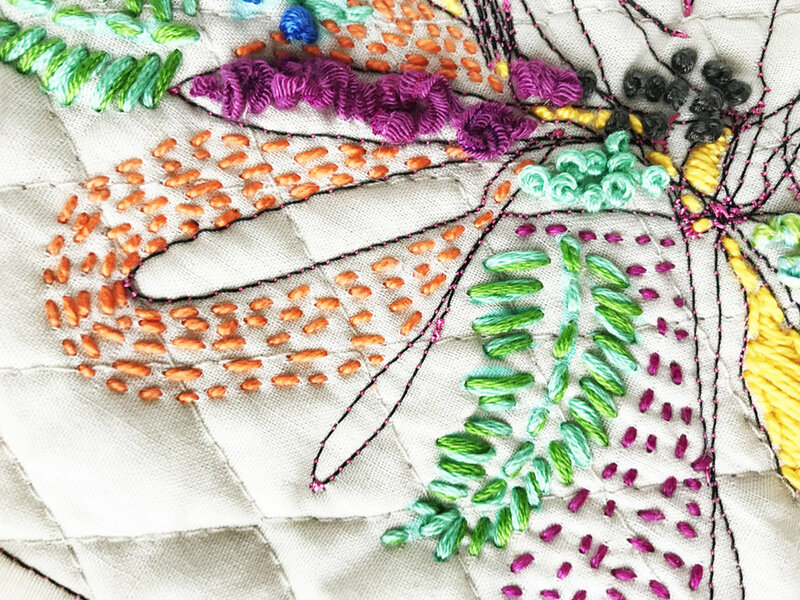 As a bonus, learn how to create not one, but two different looks when stitching your project together. 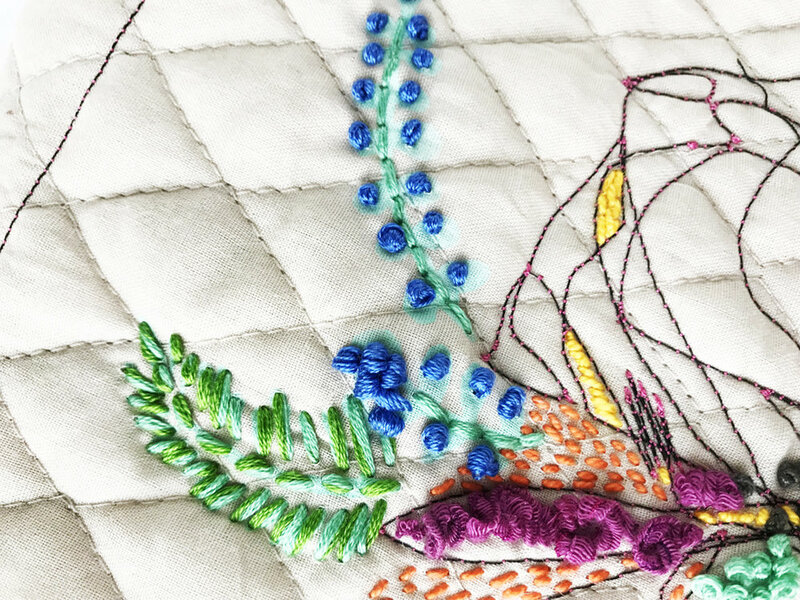 Whether you love a messy thread laden or a clean edged finished look, this mini project workshop is packed with techniques and ideas for getting your color on this year! 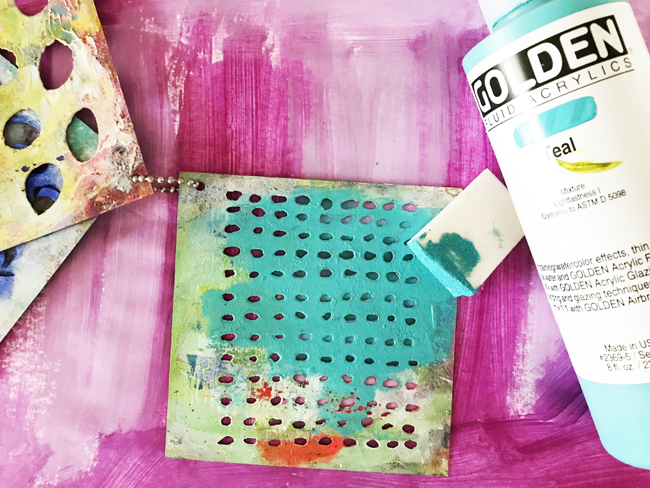 Rae Missigman will take you on a color inspiration journey with her trio of time proven techniques to confidently add your favorite colors onto the canvas. Discover how reoccurring colors play throughout your life showing up in your jewelry, clothing and decor. Master Rae’s foolproof tips to quickly layer saturated pigments and color stacked texture creating a rich background that’s beautiful on its own. Use Rae‘s signature repetitive Art Marks and wildly imaginative mono printing techniques to add your unique personality to the canvas while allowing a single word to guide the process. Bring your word to life by adding it to the canvas to document your journey through Color, Canvas and a Guiding Word. 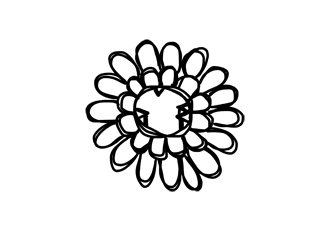 In 16 videos and two hours of step by step instruction, you will uncover a course of action that enables you to face the blank canvas with confidence. Create alongside Rae as she shares the timesaving techniques she has perfected to go from Start to Inspired.